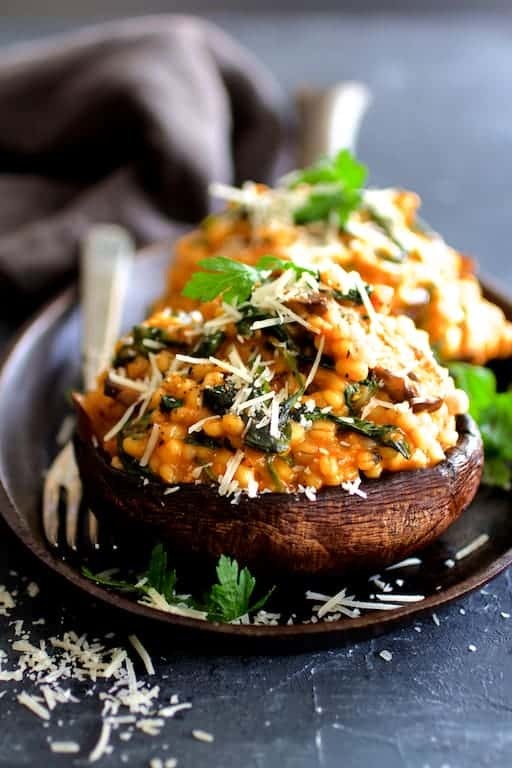 Barley Risotto Stuffed Portobello Mushrooms are a meatless meal even a carnivore will love! No meat, but a meaty, hearty texture and flavor! I had a Saturday night all to my lonesome recently. My hubby, stepson and grandson went to a Memphis Grizzlies basketball game. So what’s a girl to make for herself while the boys are out playing? So I decided to treat myself and go mushroom crazy! There’s no mistaking the Portobello mushroom! The Portobello mushroom, with its meaty texture, is a large mushroom that’s a mature version of the cremini mushroom, a brown mushroom that resembles the common white mushroom. 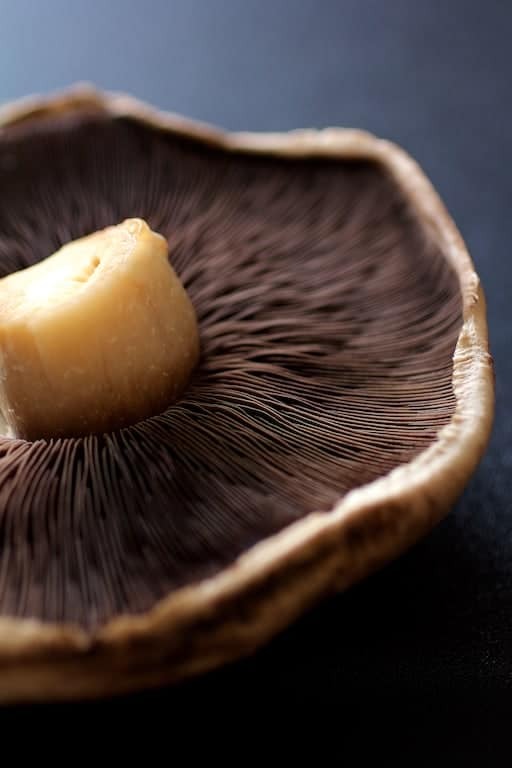 The term “Portobello” wasn’t used until the 1980’s when someone found a glamorous way to market cremini mushrooms that grew too large and were disposed of because they wouldn’t sell. The marketing ploy worked–they’ve been popular ever since. Portobello mushrooms are often sold in packs of two but you can find them loose and sold by the pound. When purchasing Portobellos to stuff, select mushrooms with high sides–they’re ideal for filling. Barley is another one of my favorite things. 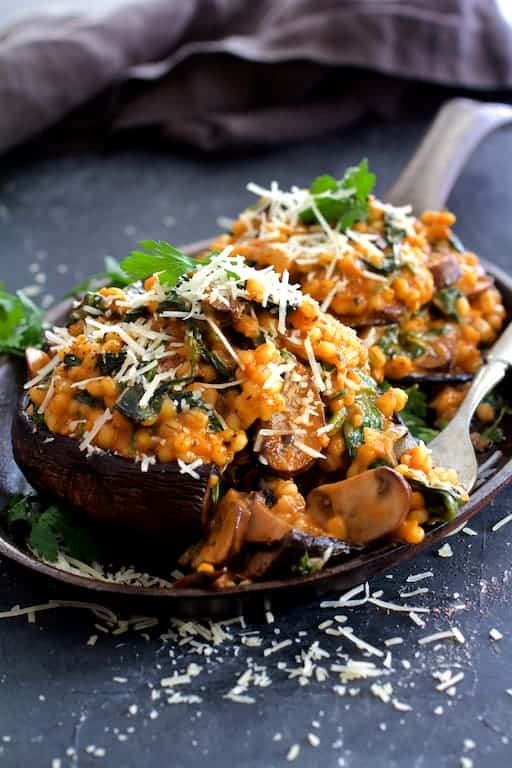 Mushrooms and barley are a culinary match made in heaven! 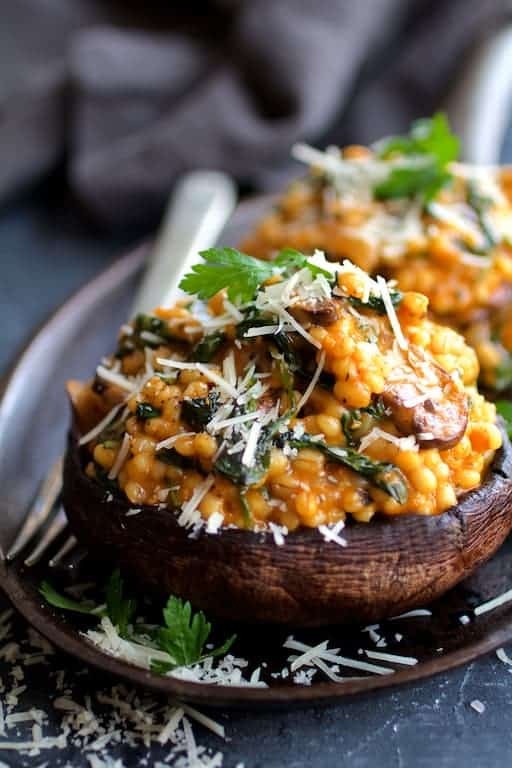 Perfect for these Barley Risotto Stuffed Portobello Mushrooms! Because cremini mushrooms are baby Portobellos, it just seemed right to add them to the risotto. Now, you may be thinking….risotto? Isn’t that supposed to be a rice dish? Actually, the risotto cooking method can be applied to other things like barley, orzo pasta or even diced potatoes. Barley is a great substitute for rice. 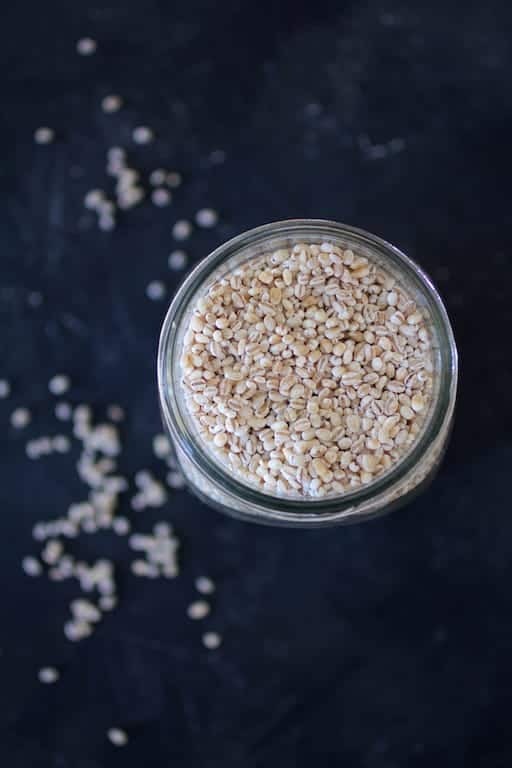 It’s a low-glycemic grain, loaded with fiber and has a delicious nutty flavor and delightfully chewy texture. If you have gluten sensitivity, lentils would be a great substitute in this dish. Then add some spinach and cheese! TWO types of cheese! To add creaminess to this barley risotto, I stirred in some Taleggio cheese and Parmesan. Taleggio is another one of my favorites and it’s perfect here because of its mushroomy undertones. Some more Parmesan over the top and mama! Barley Risotto Stuffed Portobello Mushrooms! The perfect comfort food for my night in! Heat 1 tablespoon oil in a small skillet or saute pan over medium-high heat. Add the cremini mushrooms and cook, stirring often until browned, approximately 5-6 minutes. Set aside. Heat 3 tablespoons oil in large shallow pan over medium heat. Add the onions, reduce heat to low and cook 10-12 minutes or until soft and golden. Add the garlic, stir until fragrant. Add the barley, 3 cups broth, tomato paste, basil and oregano. Bring to a boil, reduce heat to low and cook, uncovered, stirring frequently until barley is tender, approximately 20 minutes. Add the spinach, Taleggio and Parmesan cheese and stir until spinach is wilted and cheese is melted. 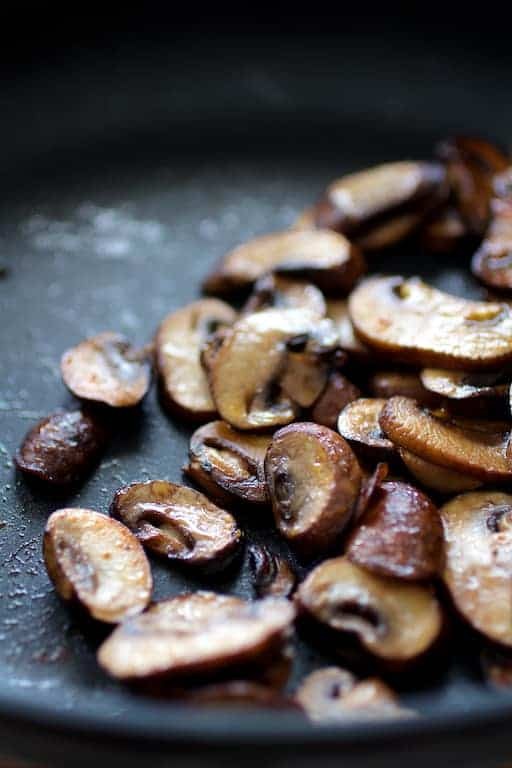 Stir in cooked cremini mushrooms. Season to taste with salt and black pepper. Keep warm. Lightly brush Portobello mushrooms with remaining olive oil. Roast for 7-8 minutes or until mushrooms give up some of their water. Immediately flip the mushrooms over to drain for 1-2 minutes. 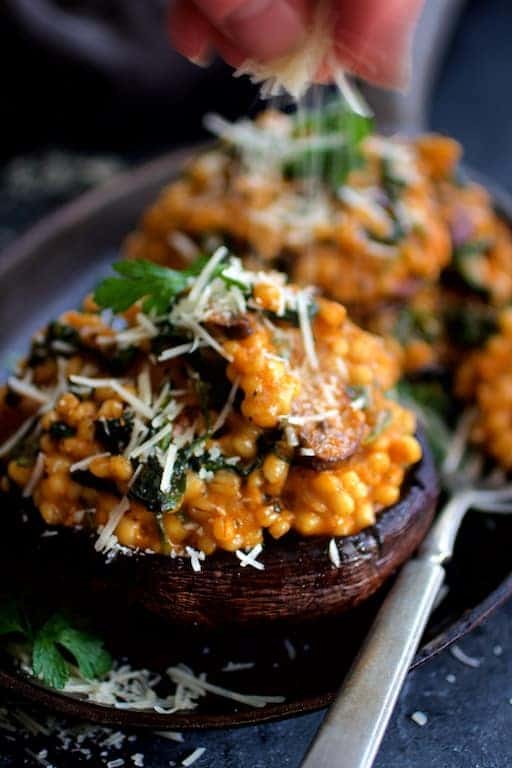 To serve, top Portobello mushrooms with equal amounts of the risotto. Top with additional grated Parmesan cheese and garnish with chopped fresh parsley or parsley sprigs. I’m dying to make these they look and sound amazing, my boyfriend and I just got introduced to barley so I was wondering what kind did you use pearl or hulled? Hi, Heather, I used regular pearl barley. I’m also a huge fan of barley and love the texture of the pearl barley. These mushrooms are one of my favorite meatless meals. Hope you enjoy! All the pictures are making me want to grab a bite of it right now! Even without stuffing, I am sure the barley risotto will be a great hit. I am going to try make something similar with pearl millet. I got a pack of the pearl millet grain when I came from India and it will be great to see how the grain does in international dishes! Thanks, Ashima! I’ll bet the millet would be great… as would lentils! I just had to comment — gorgeous photos but the mushroom sounds amazing. Poor hubby! Can’t eat mushrooms. We love all types of mushrooms but stuffed ones are really incredible. I’ll be making this very soon. Have a wonderful weekend. 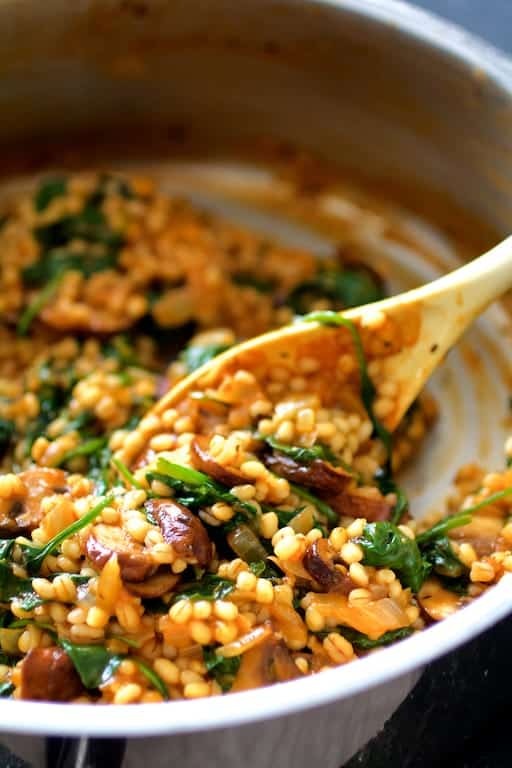 I love barley and I love mushrooms so this dish is right up my alley. Gorgeous photos, as always Carol. 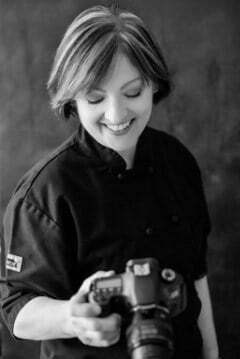 Beautiful photos Carol! And Iove the recipe! Oh my goodness, Carol. Your photos are making me drool. I love this combination of portobello and barley. Sounds so warm and comforting. It’s snowing here in Ohio, so this is going to the top of my cooking list. Thanks for a great recipe! Thanks, Julie! The texture of barley with portobellos is awesome! Your photography is simply stunning! I love that you put the risotto in a mushroom!